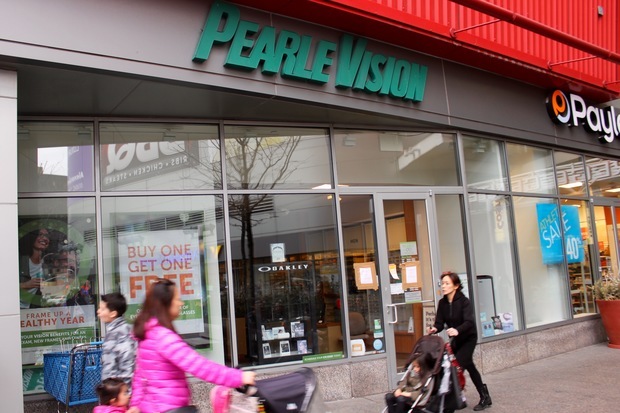 Pearle Vision, located within the Rego Center Mall at 61-35 Junction Blvd., closed several weeks ago. QUEENS — An eyewear store in Rego Park abruptly shuttered its doors several weeks ago, leaving many customers scrambling for answers. A note placed in the window of the closed Pearle Vision, located within the Rego Center Mall at 61-35 Junction Blvd., refers patrons to a Garden City-based lawyer. “If you want your contact lenses, glasses, prescriptions or records, call Mr. Pergament,” the note reads. It also includes the lawyer's address, phone number and email. A number of customers said they were contacted by the law firm recently and asked to come to the store last Thursday between 4 p.m. and 8 p.m. During that time, they were told the store would be returning customers their glasses, prescriptions and records. Barbara Sambriski, of Elmhurst, said she found out about the closure last month. “I was going to get glasses and I went up there a couple of weeks ago and I saw the sign on the door,” Sambriski said, adding that she had been a customer at the store, which had been previously located on nearby Queens Boulevard, for more than 10 years. She said she called the lawyer’s number last Wednesday and was told to come to the store the following day. Sambriski said that the owner, who also owns a Pearle Vision store in Roslyn, LI, told her at that time that the reason for the store closure was lease-related. The Roslyn store remains open. A number of frustrated customers took to Facebook to complain about the issue. It was not clear whether the store was planning to set up another date for its customers to pick up their records. Neither the owner of the Rego Park location nor the lawyer representing him returned phone calls seeking comment. 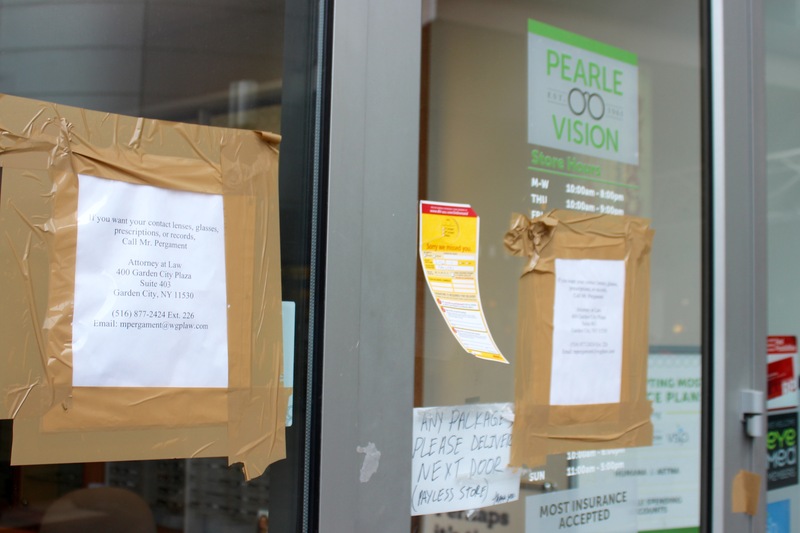 Pearle Vision also did not provide any details regarding the Rego Park store closing.